Based on a comprehensive investigation of all manuscripts and florilegia, this edition provides, for the first time, a secure reconstruction of the two hyparchetypes on which the text depends. Zwierlein demonstrates that all former manuscripts of Seneca's tragedies stem ultimately from these two branches of the tradition, both of which are adequately transmitted by pure representatives. He provides a concise critical apparatus, includes a fully-referenced account of all testimonia, emendations, and conjectures, and collates all important manuscripts and florilegia.Zwierlein, Otto is the author of 'L. 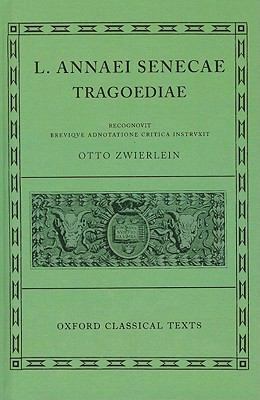 Annaei Senecae Tragoediae, Incertorvm Avctorvm Hercvles Oetaevs Octavia' with ISBN 9780198146575 and ISBN 0198146574. Loading marketplace prices 4 copies from $37.08 How does the rental process work?